Climbing interest rates are putting the squeeze on the mortgage refi market. Applications to refinance home mortgages fell 5% last week, dropping to an 18-year low. According to CNBC, mortgage application volume was nearly 27% lower than a year ago when rates were lower. The refinance share of total mortgage application volume fell to its lowest level since August 2008, at just 35.3%. As Peter Schiff pointed out in a recent podcast, this is a bad sign for the broader economy. With rising rates, US consumers will no longer have the option of using their house as an ATM. When you refinance your mortgage, it generally reduces your monthly payment. This means more money in your pocket to spend. You can also use mortgage refinancing to take cash out of the equity in your home – kind of like an ATM. You can then spend that money on home improvements, a new car, a vacation or whatever you want. Consumers can’t keep spending if they can no longer free up spendable income by refinancing mortgages. Peter said this is going to be a bigger and bigger problem for the economy. Of course, a decrease in consumer spending is not good news in an economy driven by consumer spending. And there are other signs of trouble. Total household debt hit a record $13 trillion in 2017, eclipsing levels seen on the eve of the Great Recession. And as we reported yesterday, sub-prime credit card delinquency rates have risen above levels seen during the financial crisis. These are all signs of a stressed American consumer. Peter also covers some other economic news and discusses populism in both Italy and the US in his most recent podcast. Give it a listen. Peter Schiff is president of Euro Pacific Capital and Chairman of Euro Pacific Precious Metals. He is author of The Little Book of Bull Moves in Bear Markets and Crash Proof: How to Profit from the Coming Economic Collapse. 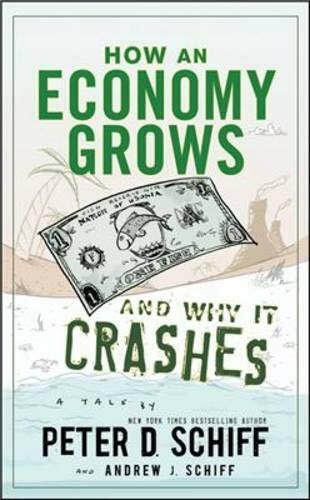 His latest book is The Real Crash: America's Coming Bankruptcy, How to Save Yourself and Your Country. Is the Killer Ebola Virus Mutating?